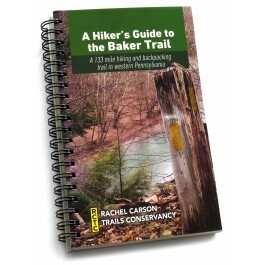 Includes chapters on trees, camping, map descriptions, and suggested hikes. Plus 66 full color map pages, detailed elevation profile, mileage table, and more. Wire binding allows it to lay flat when open. Dimensions: 4 1/2" x 7" x 1/2". 2015 edition, revised April 2016, 180 pp. Also available at both Pittsburgh REI stores: South Side and Settlers Ridge and at 3 Rivers Outdoor Co. in Regent Square.